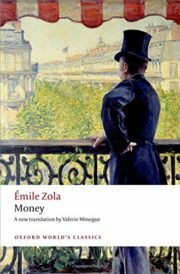 Saccard, last encountered in The Kill (La Curee) in Zola’s Rougon-Macquart series, is a complex figure whose story intricately intertwines the worlds of politics, finance, and the press. The repercussions of his dealings on all levels of society resonate disturbingly with the financial scandals of more recent times. This is the first new translation for more than a hundred years, and the first unabridged translation in English. The edition includes a wide-ranging introduction and useful historical notes.